RIO DE JANEIRO, BRAZIL – The tragic final moments of Air France Flight 447 from Rio’s Galeo Airport to Charles de Gaulle in Paris were still being pieced together at the time of writing, but with the first reports of plane debris found off the North East coast of Brazil, any hope of finding survivors has now faded. Among those feared dead are 58 Brazilians, 61 French, 5 Britons and 2 Americans of the 32 nationalities on board the flight that also included Chinese, Spanish and Italians though the list of passengers has still to be officially released. The Airbus 330 went off the radar over the Atlantic Ocean between Brazil and Senegal airspace shortly after a final message was sent by the pilot confirming that all was well as it left landfall. Various theories have been offered by aviation experts as to what may have happened, but with the wreckage still to be found all that seems probable is that none of the 228 people on board have survived. With no radar coverage over the Atlantic, the pilots called in their final positional report to Brazilian controllers at 10:33PM (BT), with speed and altitude normal. The last communication received from the plane, however, was at 11:15PM (BT) when a series of automated messages were sent to Air France directly. According to Pierre-Henri Gourgeon the airline’s Chief Executive, these suggested the breakdown of several on-board systems and a failure of electrical power and pressure. It is feared that the pilot may have encountered freak weather conditions over the Atlantic which caused the disastrous loss of these vital elements. Despite never reappearing on radar there was still a glimmer of hope that the airplane may have simply lost communications or made an emergency landing elsewhere. Around lunchtime on Monday though, it became clear that the on-board fuel supply would have run out and no further reports of the flight had been received. Arrivals Boards at Paris’ Charles de Gaulle Airport still read ‘delayed’ until an hour after its scheduled landing when it was finally removed from the screens. 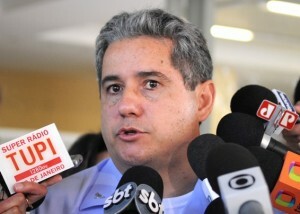 With such a vast area to scour for the wreckage it was not until early Tuesday morning that the first reports of debris came in, with kerosene slicks and airplane seats floating in the sea some 650km north west off the island of Fernando da Noronha detailed by the Brazilian Air Force spokesman Jorge Antonio Amaral. The Air Force has also asked for the assistance of a French Merchant Navy ship which was in the area where the materials were discovered. The search now continues to find the black box recorders which officials fear could take a matter of weeks given the size of the area involved, and only then will the last moments of the stricken aircraft begin to come together.